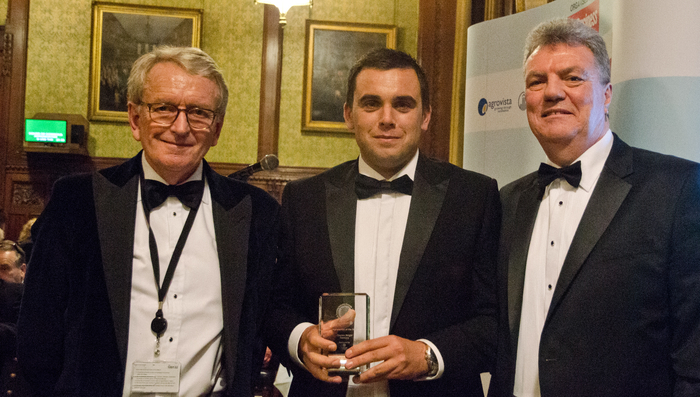 The UK’s arable sector was well represented at a glittering award ceremony in the House of Commons for the Food & Farming Industry Awards organised by Farm Business magazine. Guest of honour was Sir Christopher Meyer, former British ambassador to the United States. A £2m investment, which included eight storage reservoirs for irrigation and 40km of underground mains, has enabled Andrew Williams of Home Farm Nacton to get more consistent yields each year. Ithas also invested in buildings to store, cure and refrigerate onions up to 5,400 tonnes.